Teachers are the heart of the History Fair, and we try our best to support you through this process. 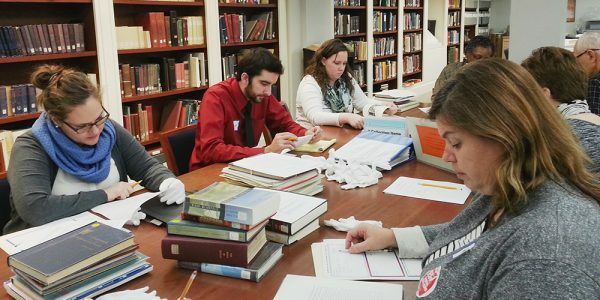 If you’re considering offering the project to your students, visit Why Do History Fair? All teachers will want to use History Fair Essentials for logistics related to the fairs. 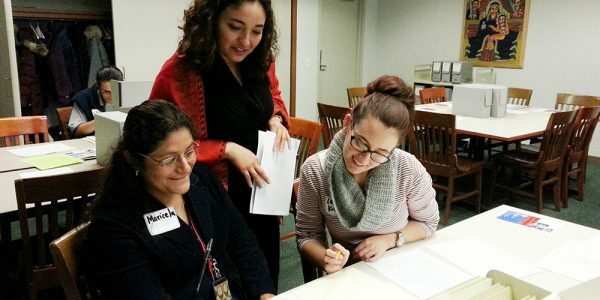 In Teaching History Fair, access our curriculum materials. Build content and pedagogical knowledge through Professional Development and other support opportunities in Connecting with Us. History Fair is a powerful tool that meets a variety of standards and educational approaches including the International Baccalaureate and the State Board of Education’s Inquiry-based Learning Standards. Watch the testimonial videos by fellow teachers as they share their positive experiences. History Fair requires a fair amount of coordination on the teachers’ part to make the process go smoothly. Novice teachers will want to carefully review Getting Started FAQs to help make critical decisions about implementing the project in your school. All schools intending to participate in History Fair must complete this form. Consider it a first-of-the new school year task. Note the dates and deadlines for the competitions. Review the rule book for each project category you will offer and download your preferred version of the Summary Statement in Word or in Google Docs. Visit the NHD theme and topics page. Read the Contest Administration Guide for an overview of the procedure to entering the competition phase of History Fair. Check the project allowances and register advancing projects here. All students at the regional and metro fairs must submit a student authorization form with their project, or teachers may send them directly to the History Fair office. Now available in Spanish (click here). Students can do high-level historical inquiry with your support. Our “Students Become Historians” PowerPoint gives a detailed explanation of what is involved in participating in History Fair and provides helpful advice for each of the five major steps. Feel free to edit and present this information according to your classroom needs. Student buy-in is an important part of the inquiry process. Use this Graffiti Activity to grab student attention and engage them in the process. This pre-assessment, created in consultation with History Fair teachers, allows you to assess students’ historical thinking skills before the program gets underway. There are many methods can use to help students find topics they are passionate about. They can identify current topics and work backwards. You can also encourage students to flip through textbooks or Chicago history books and magazines to find topics of interest. Scrolling through the (new text) Encyclopedia of Chicago can also spark interest. Developing historical curiosity through questioning gives students tools to handle any inquiry project they may face. Review this guide to developing questions and implementing questioning activities for History Fair… and beyond. Give students a preferred notetaking system to avoid plagiarism and encourage them to maintain their annotated bibliography as they conduct their research. We highly recommend that schools take advantage of the free one-year trial version of NOODLE TOOLS, available through NHD. See significant improvement in student note-taking, citation and bibliography-making, tasking–and, for the teacher, feedback and management of student work. Visit the research pathway for great tips on how to find and the purpose of sources. The Research Journey PowerPoint reviews the research process for use in your classroom. Use this activity to discuss the differences between primary and secondary sources. You can use the NHD “4-T’s” graphic organizer to guide their research and help formulate ideas. Encourage your students to attend Palooza workshops (link to events page) at local libraries and universities to improve their research skills and obtain coaching. It is a great extra-credit opportunity for eager students. In History Fair, students “make history” through their thoughtful analysis of and connections made between sources. Guide your students think critically with our Connect It! worksheet, and the additional resources below. 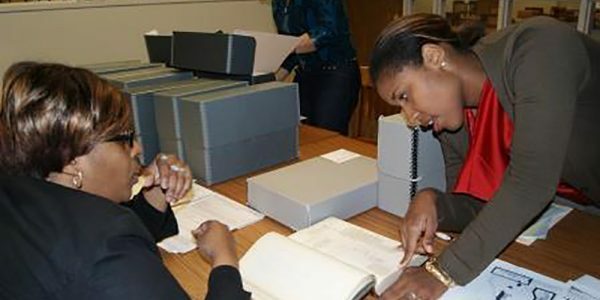 Both the Library of Congress and the National Archives and Records Administration offer excellent analysis sheets as well. Choose the most effective format for your students. Additionally, the “DocsTeach” website by the National Archives also has great interactive tools to help students process and weigh evidence. The thesis statement is a one or two sentence stance on a historical issue. It may explain why or how something happened, express an interpretation related to the NHD theme, and/or suggest the larger significance of historical events or actions. The thesis is the answer to their historical question. Students often struggle to define and refine their thesis statements. Use the How to Write a Thesis and History Fair Thesis: What’s it all About activities, and the Thesis PowerPoint, to direct students through this challenging process. The Thesis Development Worksheet provides a format for using the theme. Teachers may find the Thesis Rubric a useful tool for evaluating students’ theses. 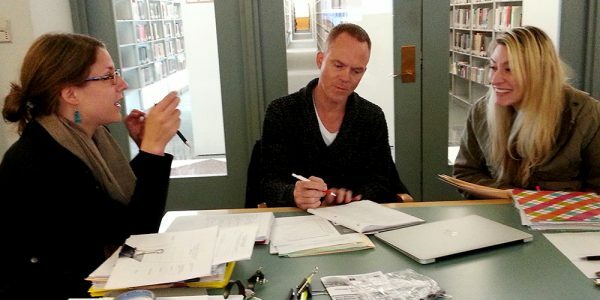 Further reading about thesis statements can be found in this online writing guide by Patrick Rael of Bowdoin College. This Organize Your Argument worksheet helps organize the students’ work into arguments and sections they can use to build their final projects. Another option is this Argumentation Plan. Each History Fair category has its own strengths and weaknesses and might be right for different students in your classes. Use the You Be the Judge classroom activity to provide students with an authentic experience in evaluation and to prompt them to think critically about their own projects. We suggest you introduce this activity mid-way in the students’ own projects. No matter the category, History Fair projects are judged based on their historical knowledge, analysis, sources, and presentation. All students must have a summary statement form and annotated bibliography. Check out our professional development programs. 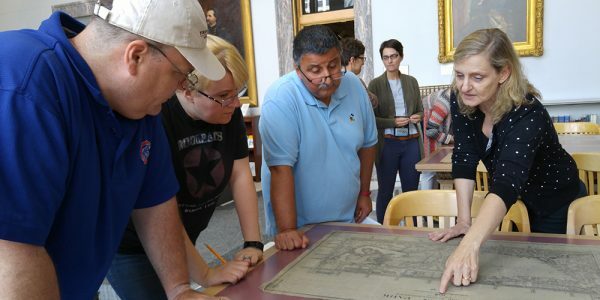 Throughout the year we offer boot camps for new History Fair teachers, multi-day methods courses and topic-based research workshops with librarians, archivists, and historians. An online tutorial is required for teachers who plan to offer the website category. Please contact us if you have any questions or would like to arrange for us to speak to your students. For information about the History Fair Partners Fee, click here.